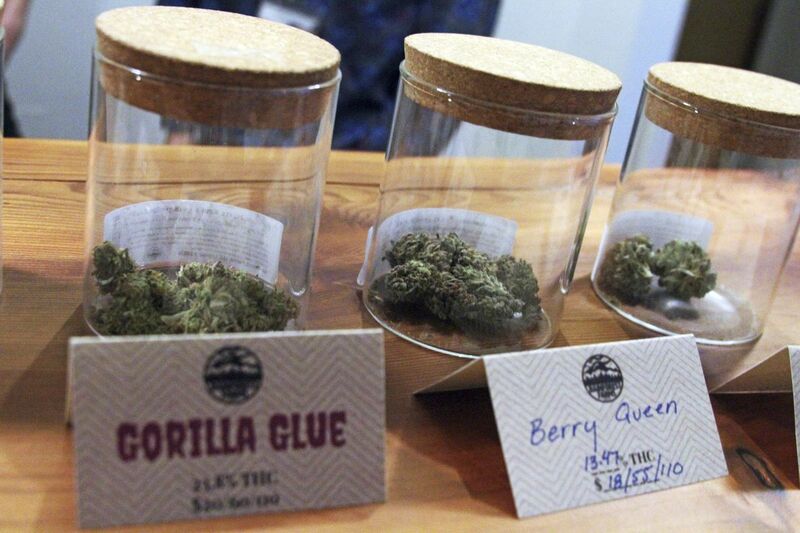 JUNEAU — Alaska’s marijuana growers and retailers say they’re worried and uncertain about Gov. Mike Dunleavy’s plans for their industry, but one of the governor’s new picks for the Alaska Marijuana Control Board says those concerns are unwarranted. Alaska legalized recreational marijuana in a 2014 ballot measure, and the first retail sales took place two years later, on Halloween 2016. By October 2018, the state was collecting $1.8 million per month in marijuana taxes. More than 260 marijuana businesses have opened statewide, according to state figures. That took place under Gov. Bill Walker, but now Dunleavy is in office. Marijuana remains federally illegal, so decisions about legality and basic functions are in the hands of state officials, including the governor. What does he have in mind for the marijuana industry? “I’ve got no idea,” said Cary Carrigan, executive director of the Alaska Marijuana Industry Association. Mark Springer, chairman of the control board, said he likewise had not received any word from the administration. The governor made few statements about marijuana during his campaign and didn’t make any major marijuana policy announcements in the first two months of office. The new commissioner of the Department of Commerce, Community, and Economic Development — parent agency of the Alcohol and Marijuana Control Office — didn’t offer details of the administration’s policy when asked at an Alaska Chamber of Commerce luncheon. “More to come on that issue,” said commissioner Julie Anderson. But in the last full week of January, the governor picked Vivian Stiver of Fairbanks to sit on the Marijuana Control Board, replacing Brandon Emmett, an industry official also from Fairbanks. Stiver had been a lead figure in an unsuccessful 2017 campaign to ban the commercial marijuana industry from Fairbanks. Since then, marijuana companies, supporters — and even a pair of volunteer lobbyists — have been talking to lawmakers and urging them to reject Stiver’s appointment. “It’s concerning, incredibly disappointing and hurtful because a lot of us supported Dunleavy,” said Jana Weltzin, an Anchorage attorney who represents marijuana businesses and was in the Capitol Thursday. Dunleavy also appointed an Alaska Wildlife Troopers lieutenant to the public safety seat on the board, but Weltzin said that appointment is not causing particular concern within the industry. By phone from Fairbanks, Stiver said she is “absolutely not” a prohibitionist when it comes to marijuana. “It’s a new industry; I’m excited. As far as I can see, it’s working,” she said of the industry and regulations. In 2017, Stiver explained, she believed the city of Fairbanks was not ready for a legal marijuana industry. In her view, the city council and city officials had not adequately prepared for the industry to operate. The campaign for the Fairbanks ban attracted a coalition of people with different beliefs, she said. There were people who supported medical marijuana but not recreational marijuana. 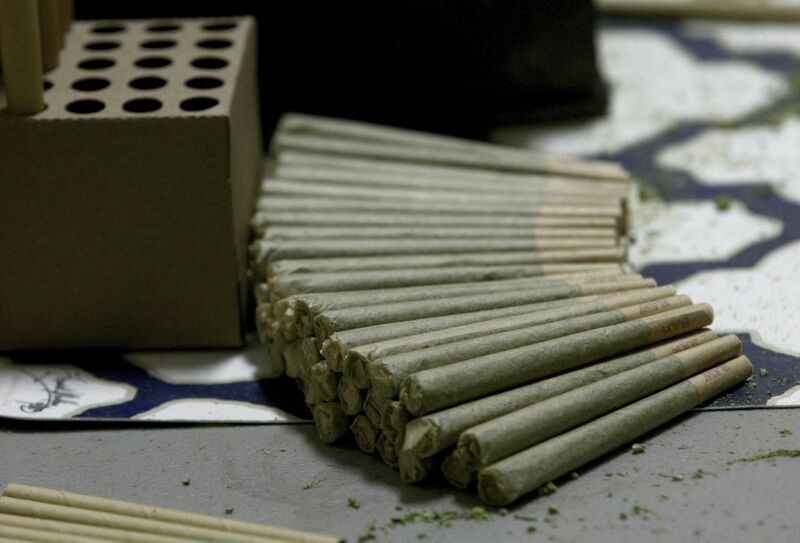 There were people who didn’t want marijuana at all. “I never had an issue with medical. I just wanted to wait,” she said. In the time since the Fairbanks proposition failed, allowing retailers to open within city limits, Stiver said she has heard no complaints. “I have heard nothing. That tells me, overwhelmingly, that the industry is doing well, and it’s responsive, bottom line,” she said. Stiver, too, is in the dark about the administration’s marijuana policy, she said. She hasn’t received any communications from the governor’s office about marijuana policy and hasn’t spoken to anyone since she told the governor she was interested in joining the board. Stiver’s term starts March 1. The administration — through the lieutenant governor’s office — will soon have a chance to make a significant statement about where it stands on marijuana policy. In December, the control board voted to allow customers at some specifically licensed retail marijuana stores to smoke marijuana in the store. Springer said he expects only a handful of stores to apply for and receive the special permission needed for on-site consumption. That regulation is undergoing review by the Department of Law and must be approved by the lieutenant governor’s office before becoming effective. If the lieutenant governor approves, it would give Alaska one of the most liberal policies in the United States. Corrections: The original version of this article incorrectly reported the position of the new public safety board member. He is an Alaska Wildlife Trooper, not a Soldotna Police Department officer. The article also incorrectly reported the beginning of Stiver’s term. It is March 1, not before the February Marijuana Control Board meeting in Juneau.